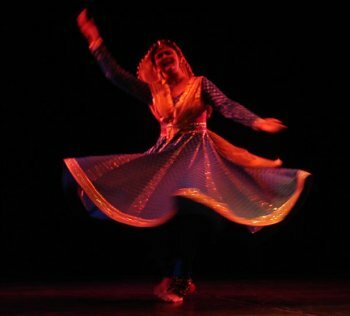 Shila Mehta is a renowned Kathak dancer from Northern India and is recognized for the artistry, eloquence and spirituality in her presentations. Her solo performances and group choreographies presented all over the world have won her many prestigious awards. Today she is an accomplished performer, choreographer, director, and teacher. 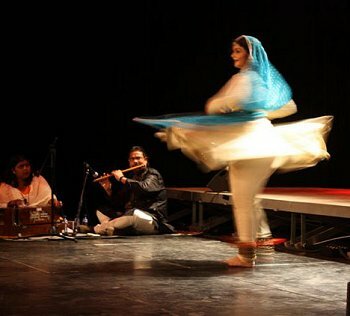 Shila has also created Kathak performances with other dance disciplines such as flamenco, jazz and ballet. She is the founder director of the Nupur Zankar Academy of Performing Arts and Research Centre, Mumbai. Thanks to a magical meeting between Maya Sapera and Shila Mehta in Mumbai three years ago, Kathak has been finding its way into this country. This is the third year in a row that Maya Sapera has invited Shila Mehta to Belgium and thanks to these visits the knowledge about Kathak and classical Indian dance is getting more and more attention every year by student dancers, professional dancers and cultural venues across the country. Her presence this year between 29th October and 12th November in Belgium was especially remarkable. 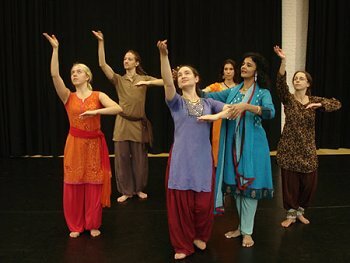 Not only did she start with a performance in De Ingang in Ghent, but she also conducted workshops in Kathak and Indian folk dances for all level of students. On top of that, she hosted a special ten day training for intermediate to advanced students, ending her stay in Belgium with a truly mesmerizing performance on November 12th in one of the country's most renowned cultural venues, the Bozar or the Palace for Fine Arts in Brussels. This was the result of the first cultural collaboration between Maya Sapera Dance Company and the Embassy of India in Brussels. This evening showed us not only the qualities of Shila Mehta as an artist and choreographer but also as a teacher and inspirer of the Kathak dance form. A selection of her most dedicated students displayed a fine piece of Kathak dance under the vocal guidance of Shila Mehta. The four lovely lady students all wore beautiful Kathak costumes in white. The audience in the Bozar studio was enchanted by the technical level and the artistic expressions of these students. It goes to show that spending a hard week's training with Shila Mehta is worth the effort. 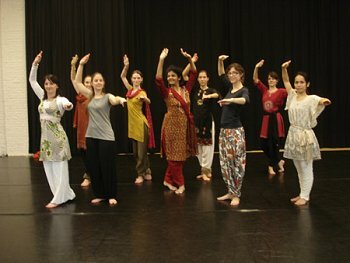 On request by Maya Sapera, Shila Mehta conducted an intensive 10-day workshop for Kathak dancers with some experience. Shila Mehta was happy to see how eager these students were to learn all about the aspects of Kathak dance and their enthusiasm and perseverance resulted in the enchanting student performance. And of course, the evening would not have been complete without a performance by Shila Mehta herself. Was it the audience, was it the venue, and was it Shila Mehta herself? There was some firework going on stage! While Shila introduced every dance piece by explaining what story she would be telling in her dance, the audience was fascinated by looking at her refined facial expressions and her impressive movements that depicted the story of Krishna's adventures so well. We truly absorbed this invigorating performance and have learned something of what Kathak is all about thanks to Shila Mehta. Hope to see her back soon!